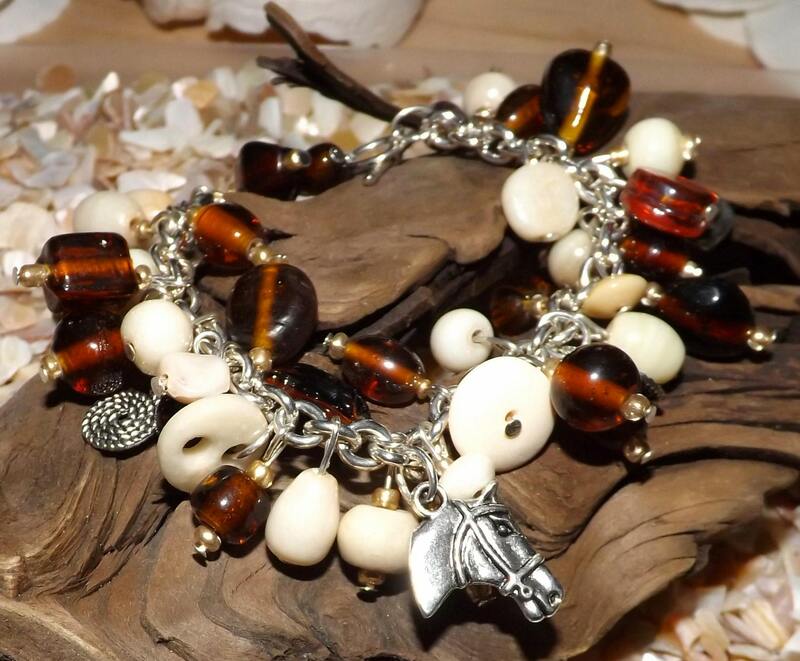 This Bracelet is the perfect gift for a Horse Lover and/or Rider as it has natural colors with horse theme charms. 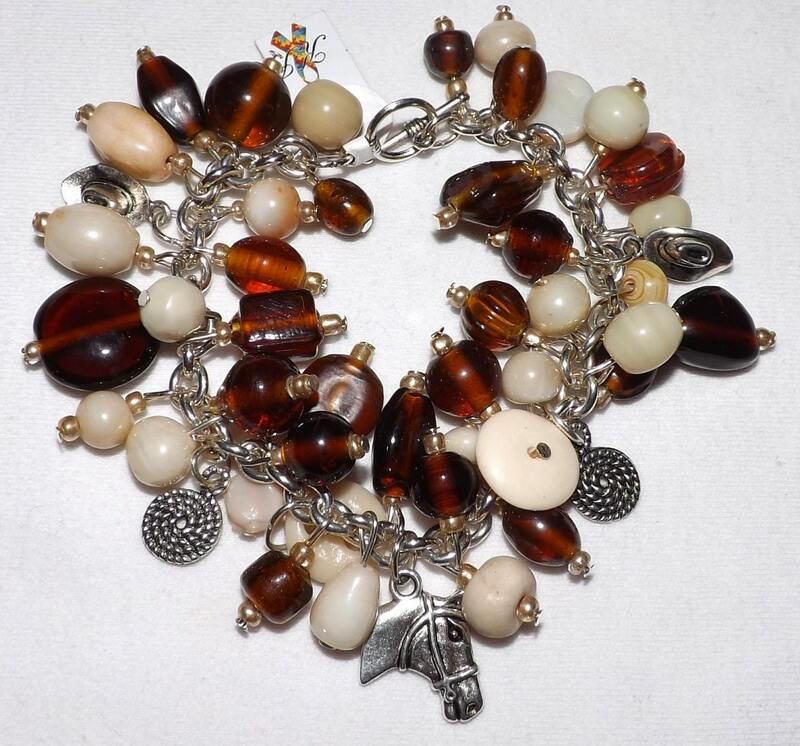 The bracelet is 7.5 inches, I can shorten or lengthen the bracelet if you need. Just send me a message.